Twenty years ago, when you bought a brand sparkly new VCR machine, you would also get a thick instruction manual. Read this thoroughly before you start, the manufacturer would implore. There would be detailed setup procedures and troubleshooting guides. Most doctors, dietitians and diabetes specialists claim that type 2 diabetes is a chronic and progressive disease. The American Diabetes Association, for example, almost proudly proclaims this on its website. Once you get the diagnosis, it’s a life sentence. But, it’s actually a great big lie. Type 2 diabetes is almost always reversible and this is almost ridiculously easy to prove. This is great news for the more than 50% of American adults who have been diagnosed with pre-diabetes or diabetes. Recognizing this truth is the crucial first step in reversing your diabetes or pre-diabetes. Actually, it something that most people already instinctively recognized to be true. Suppose your friend is diagnosed as diabetic, then works hard to lose 50 pounds. He takes himself off all his medications and his blood sugars are now normal. What would you say to him? Probably something like “Great job. You’re really taking care of yourself. Keep it up!” What you wouldn’t say is something like “You’re such a dirty, filthy liar. 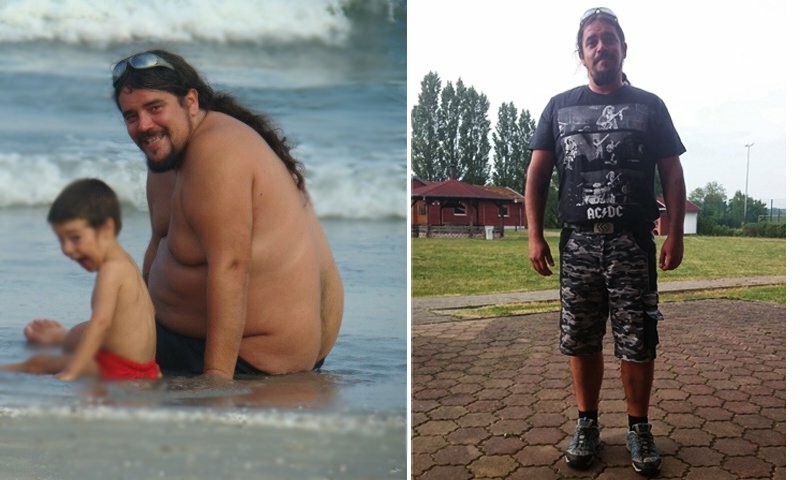 My doctor says this is a chronic and progressive disease so you must be lying to me” It seems perfectly obvious that diabetes reversed because your friend lost all that weight. And that’s the point. The disease is reversible. We’ve known all this along. But only diet and lifestyle changes will reverse it. NOT medications. The most important thing, of course, is to lose weight. But the diabetes medications don’t do this. Quite the contrary. Insulin, for example is notorious for causing weight gain. Patients intuitively sense that they are heading down the wrong path. Other medications such as metformin or the DPP4 drug class are weight neutral. While this won’t make things worse, they won’t make things better either. Since weight loss is the key to reversing type 2 diabetes, medications won’t make things better. Medications make blood sugars better, but not the diabetes. We can pretend the disease is better, but that doesn’t make it true. That’s the reason most doctors think type 2 diabetes a chronic and progressive disease. We’ve been using the wrong treatment. We’ve been prescribing drugs for a dietary disease. No wonder it doesn’t work. The essential feature of type 2 diabetes and pre-diabetes is that our bodies are completely filled with sugar. It’s not just too much sugar in the blood. That’s only part of the problem. There’s too much sugar in our entire body. Imagine our bodies to be a sugar bowl. A bowl of sugar. When we are young, our sugar bowl is empty. Over decades, we eat too much of the wrong things – sugary cereals, desserts and white bread. The sugar bowl gradually fills up with sugar until completely full. The next time you eat, sugar comes into the body, but the bowl is full, so it spills out into the blood. But why does this happen? The cells are already over-filled with glucose (see previous post – A New Paradigm, and Insulin Resistance is Good?). Like trying to blow air into an over-inflated balloon, it simply takes more force. The cell resists the glucose because it’s completely full. insulin resistance is an overflow phenomenon. Over a period of years, you went from pre-diabetes, to diabetes, to taking one medication, then two then three and then finally large doses of insulin. Here’s the thing. If you are taking more and more medications to keep your blood sugars at the same level, your diabetes is getting worse! Even if your blood sugars get better, your diabetes is getting worse. This is unfortunately what happens to virtually every patient. The body is already overflowing with sugar. The medications only hide the blood sugar by cramming it into the engorged body. The diabetes looks better, since you can only see the blood sugars. Doctors can congratulate themselves on a illusion of a job well done, even as the patient gets continually sicker. Patients require ever increasing doses of medications and yet still suffer with heart attacks, congestive heart failure, strokes, kidney failure, amputations and blindness. “Oh well” the doctor tells himself, “It’s a chronic, progressive disease”. Imagine that you hide your kitchen garbage under the rug instead throwing it outside in the trash. You can’t see it, so you can pretend your house is clean. When there’s no more room underneath the rug, you throw the garbage into your bedroom, and bathroom, too. Anywhere where you don’t have to see it. Eventually, it begins to smell. Really, really bad. You needed to throw out the garbage, not hide it away. If we understand that too much sugar in the blood is toxic, why can’t we understand that too much sugar in the body is toxic too? Once we understand type 2 diabetes, then the solution becomes pretty bloody obvious. If we have too much sugar in the body, then get rid of it. Don’t simply hide it away so we can’t see it. There are really only two ways to get rid of the excessive sugar in the body. The first step is to eliminate all sugar and refined starches from your diet. 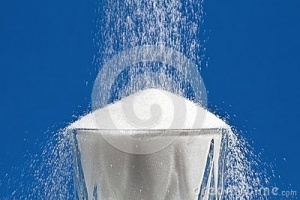 Sugar has no nutritional value and can therefore be eliminated. Starches are simply long chains of sugars. Highly refined starches such as flour or white rice are quickly broken down by digestion into glucose. This is quickly absorbed into the blood and raises blood sugar. For example, eating white bread increases blood sugars very quickly. Doesn’t it seem self-evident that we should avoid foods that raise blood sugars because they will eventually be absorbed into the body? The optimum strategy is to eat little or no refined carbohydrates. 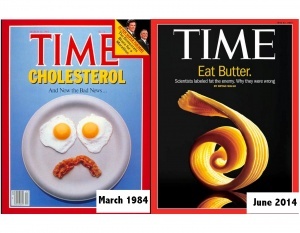 Dietary fat, long shunned for its purported effect of causing heart disease, is back. Natural fats, such as found in avocado, nuts and olive oil are well known to have healthy effects on both heart disease and diabetes. The Mediterranean diet, high in natural fats, is well accepted to be a healthy diet. Dietary cholesterol has also been shown to have no harmful effect on the human body. Eggs and butter are back. If you don’t eat, will you lose weight? Of course. would like to know how your husband did it if possible. I am newly T2 & working hard to reverse my condition. I am the usual Mets twice daily at 500 mg each pill. I cut off 60% of most white flour & sugar drinks & eat 1/2 my plate with vegetables & run 40 km weekly. Progress seems very slow after 7 months of trying. Domi, get the Dr. BERNSTEIN book it is amazing and apply fasting principles of Dr Fung and you will do amazing. I suggest cutting out white bread and sugar completely! ? Agree completely with Marlene. I think once you’re at a maintenance stage, sneak in some refined carbs as treats, but if you’re serious about making changes right now, I’d cut out white bread and other refined starches completely. Once I started to view donuts as cigarettes and white bread as a treat, life became a lot easier. YES! Load up on above ground veg as your main volume of food and fill in with some good fats and a small amount of protein. And if you do some form of intermittent fasting things will go much faster; do whatever version appeals Fast 5 is what I do but Eat Stop Eat, Warrior Diet, etc, any way that will give your body significant breaks w/ lowest possible insulin production. That will give much faster reduction in insulin resistance which is the core problem. Soon you will be a lean mean fat burning machine! Get off the Metformin and follow Dr. Jason Fung diet: FASTING ( no food ) READ UP AS MUCH AS YOU CAN ON THIS GUY; AS HE HAS THE ANSWER TO CURE TYPE 2 DIABETES. STAY AWAY FROM DOCTORS PUSHING MEDS ON YOU AS YOU ARE ONLY KILLING YOUR SHELF SLOWLY!!!!!!!!!! My new Dr told me to get Dr. BERNSTEIN BOOK AND. WANTS ME ON meds. Because my sugars are in the 200 range. Diet can work for diabetes. So… I am assuming you,d rather Drop dead from a heart attack? Hi Emile, contrary to popular belief eating fat does not cause heart attacks. It’s the sugar that does. This information is slowly becoming known by mainstream doctors. I work for a medical group and one of our heart specialists recognizes this and is now advising no sugar due to the link. After decades of telling people not to eat fat and our heart attack rates have tripled by taking this advice, much new research has been discovering it is not the fat intake, it is the sugar. Hi, Barbara T., the below message was meant for you, not Emile. Good luck in your research and reversing diabetes! this was extremely helpful!! Having people list the type of foods and meals they prepare is very helpful. everyone says they loose weight, feel good, lower their sugar levels, but not too many mention exactly what food their eating to make this happen. Very helpful. cut out all added sugar and refined carbohydrates. Use Fooducate app to help you barscan codes to determine how much sugar the food industry adds into your foods. That’s a great start! LCHF is “low CARB, high (healthful) fat.” It’s not about calories. How low in carbs do you go? Ketogenic low? How many grams of carbs would you say you normally eat. Also please tell me how often you fast? Intermittent Fasting like 16/8 or 20/4? Or do you just fast 24 hours once or week.? you’re an inspiration! Ive been trying for about a year. Lost 20 lbs and 2 inches off my waist, but have recalcitrant fingersticks between 195-260 mg/dl. I say keep fasting, drink lots and lots of water and eventully things seem to begin to get better…..it takes time….it’s not instant. I don’t understand why people focus on eating meat, cheese, butter, fried pork rinds, etc., and barely mention the things that Dr. Fung said to eat (green leafy veggies, fats like avocado, nuts). Am I missing something? I (and many others) found that most vegetables caused inflammation and gastrointestinal problems. I now eat 99% high fat carnivore and feel great! CUT ALL FLOUR and the weight will come off. Use NO sugar and NO form of artificial sweeteners because both stimulate the pancreas to create more insulin. Leave 16 hours between dinner and breakfast and get lots of rest in between. Read the Obesity Code by Dr. Fung. No need for 24 hours absolute. This is biochem. I do Fast 5 and have done for about 2 1/2 years. Many versions of intermittent fasting out there so just find one that works for you. F5 you eat during 5 hour window and fast the other 19 or so. Still gives plenty of time for body to clear all easy sources of glucose and drop your insulin production to its lowest possible which is what you are after. The Best oil ever is ‘COCONUT OIL”. its a master of all oils. Make sure its as pure and virgin as possible. NOOOOOOOOOO refined stuff. 24-hour fasting means you eat once each 24 hours. 2. in the balance period, eat ONLY when you HUNGRY and take just to suppress the HUNGER BUT not Stomach full. it means, stop eating, when you still a slightly hunger. sharing your thoughts. You have had a profound effect on my wellness. Thank you once again. I have gone from prediabetic blood glucose readings, to perfect readings, by following your advice–and lost 40 lbs as well. [less than 6 months, shorter fasts 20 to 24 hrs] at my age 69 it has been working for me. We may never meet in person, but hold you in the highest regard. You have saved me from years of suffering and unnecessary drugs I am sure. Hello Dr Fung. If you in fact reverse T2DM this way (or with bariatric surgery like on that case of the 2g of fat loss in pancreas), one can return to a SAD (standard American diet) and be as tolerant as a kid to its damage? Or one would redevelop the T2DM very quickly? Is there any “permanent pancreas damage”? Or that person never was tolerant to that amount of sugars to begin with? Thanks, Your blog and your work is amazing. As far as I can see, T2 mostly reflects a fundamental mismatch between an individual’s present physiology and her/his diet. So at the present time, the changes usually have to be seen as permanent, although individulized and evolving. How about the insulin resistance? Thank you for the protein warning / reminder. I knew there was a catch and must educate my now healthy son to cut down on these so called healthy protein options. Good information. Simple and makes sense. You too Eli, well done. Nice results Sue, well done to you and your husband. Thank you Jin. I have read many of your posts and gleened good information from them. It’s nice that we can share our stories here. Wow Samuel thanks for your post. I am not anywhere within your realm of health or fitness. Just the opposite. But what you have posted has been very informative as I have been really seriously perusing the idea of starting a fitness campaign for myself which would include a daily bike ride. OMG…i was prescribed metformin today… since i am doing wonderfully fasting… maybe i shouldn’t take it? but i thought metformin is good for improving insulin sensitivity. i am confused ? Ben: That’s awesome – congrats. I have a similar situation and parted ways with my arrogant, hostile HMO Dr. Hopefully new one is more sympathetic. I am only on 500 mg Metformin 1 x daily + I am taking Berberine supplement 3 x daily and doing Dr. Furhman. I am starting OMAD tomorrow – I think I see my way out now. Wonder if I should stop Metformin without telling my Dr, at first and see what the results are if any difference? Great Post, as usual, thank you for putting my pictures as example, I feel honoured for it. I just hope that many people get to read this. That was you in the before and after? Great job, Peter! Do you have your success story posted somewhere? I’m wondering how long it took you to get to the after picture and how much IF you did? Thank you Dr. Fung. So many people will be helped and so many more need to hear this! Perhaps not diabetic anew but prediabetic anew. A point of clarification please. Cheese, specifically, either cheddar or swiss, as I understand American cheese is the worst, dietary speaking. It was my understanding cheese, as it is largely fat based actually had protective properties, like whole fat milk vs skim, full cheddar/swiss vs low fat frankencheese. Am I understanding the Fat Phobia chapter (and blog post) correctly? I had assumed, given the low GL of Triscuits (actual true whole wheat grain) and a slice of cheddar was a low cost ‘healthy’ snack or ‘desert’ post dinner. Similarly, half and half in morning coffee vs skim milk. I believe I am interpreting what you said and Dr Mosley said regarding cream/milk in morning coffee being acceptable. I have predawn phenomenon, I go to bed with healthy blood sugar but am higher then I should be after fasting. I am 10-15 pounds over weight. Usually only my morning reading is high. I have been told I am type II. Is there something else I should be looking at? Assuming you are not diabetic, do you have to be on a low carb diet for fasting to be effective in weight loss? Or during feeding days can you still eat occasional rice / pasta? Many thanks for taking the time to reply Walt. Fasting is easier when you are fat adapted. If you are on a SAD diet after four hours of eating you will get hungry making a 24 hour fast difficult. Not just the mental battle but your body begging for glucose. That is why being low carb, actually very low carb is best as your fat stores can be accessed keeping the hunger away. What do you think about Victoza for weight loss and sugar control? How to measure insulin deficient? There’s little scientific merit to this vegan/vegetarian stuff you’re pushing, it’s more of a religion. There are ethical and environmental arguments against meat consumption, but to present veganism as the solution to diabetes is not scientifically warranted. I agree with you here. Coming from this so called vegetarian society , I know that it is not the bloody solution. Eventually I have become meat eater, pure protein means less carbs and help controlling the sugar level. This all vegetarian food this and that is total nonsense and in fact it has bad effect on health, especially those beg curries. Any advice for someone with T2 and gout? My husband is attempting fasting and LCHF but has gout flare-ups. His Indomethacin intake is beginning to worry me. And, we are currently living overseas in an area where medical care is strictly conventional. Anyone know how to break a long fast, such as 30 days for example, without complication? I’ve read that it should be with fruit or juice. That doesn’t really make sense to me though because wouldn’t that spike insulin like crazy? I am actually very concerned because I don’t want to get sick or die or end up in the hospital. Anyone know what to do? Dr Fung? This was very good to hear how other people are trying to improve their lives with this new method of fasting. It was great to hear how success it has been for many. I working my way through Dr. Fung’s book. It great to know it will make such a difference in my life. I am learning a great deal by taking my time to read the book and let it soak in. I am working at changing my soft drinks and not eating cereal or white flour and sugar. During the fasting period can you have water and/ or bone broth? Lots of water! And yes some bone broth… makes fasting very doable! What about studies showing reversal of T2D with a high carb low fat macrobiotic diet? Plase provide a link to those studies. He’s a resident troll. Sort of like “carbsane”. One of your best pieces so far. I read your blog regularly. And your newsletter. Keep up the good work. My problem is beer. I genuinely love beer. I can do fasting on lime water but its beer that is casing me a problem. How do I manage it? Gary! Haha…. mine is wine. My husband drinks Mich Ultra…. 2.3 carbs. It’s hard to give up so much about what we love! But I do believe in short term sacrifice, long term goals…. Here’s to good health~Cheers! Thru the years I went from trim to obese and developed d2. With Dr. Fung’s fasting protocol I got rid of my d2, now have healthy blood markers, got skinnier, reached my 8th grade weight and I’m loving it. I’d rather be skinny and healthy than d2 and sick, which is deadly. It’s your call. Dear Dr Fung, I am biochemist and I have been following your post and videos on the subject. There are people who loose weight unintentional as type 2 diabetics. recently I read somewhere that if you are able to loose 0 .6g of fat from the pancreas it will start to reproduce insulin. my question is, why is it that people who loose weight unintentionally not reverse their diabetes automatically. I’m old, and I work out intensively. I have a congenital back misalignment condition that depends on strong body and back muscles for me to function. I don’t have Diabetes 2. Will fasting be safe for me? I don’t want to deplete muscle. What do you do if (1) you already lost 40 pounds, (2) eat a low-carb diet, (3) run 60-70 miles a week, and (4) still have an A1C in the low-mid 6s and fasting sugars up to 130 and never below 100? i was wondering the same thing….fasting morning numbers are always the highest for me due to the so called dawn phenomenon. i checked my glucose level for 2 days at 2:30 in the a.m. and they were 101 and 103, normal at that time. when i got up 3 hours later they were higher. by the way i am not overweight. Dr Fung – the enemy of Big Pharma, Big Drug Store, Big Food, Big Endocrinology, and the ADA. A menace to society! I AM CONCERED HOW MANY CAN I GO ON WITH ONE DAY MEAL ? Hi, what about people who are not overweight? My mom has been taking insulin for over a year now, and the dosage has increased over the past year. I’d like her to give fasting a try and see how it affects her sugar levels. How do you recommend fasting for people who are not overweight or almost in the category of being underweight? How do we manage energy levels for such people? How much carbs can I eat a day? Can I drink carrot juice? or carrot apple juice? or eating raw carrots? how much carrots can I eat? Thank you!